I started following Scott Foley’s vimeo feed after seeing his “Burnt Drive Drive” video, mashing up a few of my favorite things featuring a marriage of summer images, a soliloquy from M83’s “Highway of Endless Dreams“, audio clips from “Eternal Sunshine of the Spotless Mind”, all synched to the churning dreamscape ofMemoryhouse‘s “Lately (Deuxieme). Today, Scott’s taking a trip down memory lane again, this time taking footage presumablyfrom college years at Union, audio clips from the Graduate and scoring it with White Hinterland‘s Icarus; a song which I didn’t know until now and I’m so glad I’ve heard it. Great video. 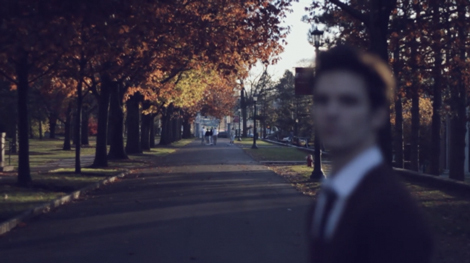 Buried Selves from Scott Foley on Vimeo. Like a coin in water I let them drift into my dark waters. There they sit, buried, smothered, formed anew by the pressures of my sub-conscience. They cannot breath, they cannot move, they will not die. Sometimes a finger of light stirs their navy blue center.